Discount available! 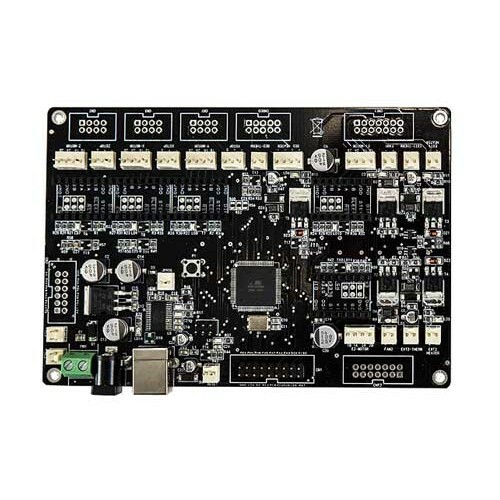 Recommend Controller card for 3D printer dual extruder to your friends and get your Discount. Made entirely in SMD (except connectors) and based on the ATmega2560 microcontroller, can handle five stepper motors, three of which operate the mechanical printer 3D (X, Y, Z), while the other two stepper motors command the two extruders. 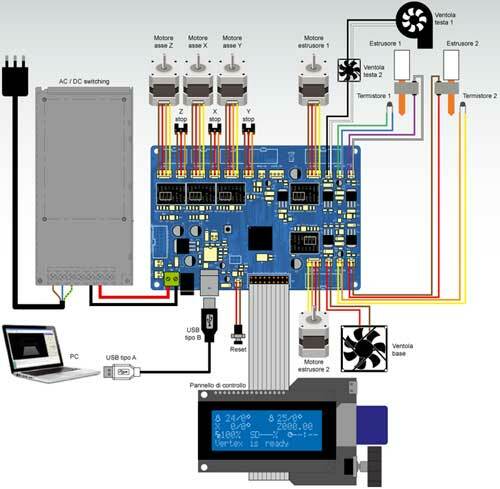 It also has two inputs to read temperature, five exits (HEATHER EXT1, EXT2 HEATHER, BED HEATHER, FAN1 and FAN2), a converter USB / serial interface for the ATmega with the computer, three inputs for limit switches (xSTOP, yStop and ZSTOP) and various status LEDs. 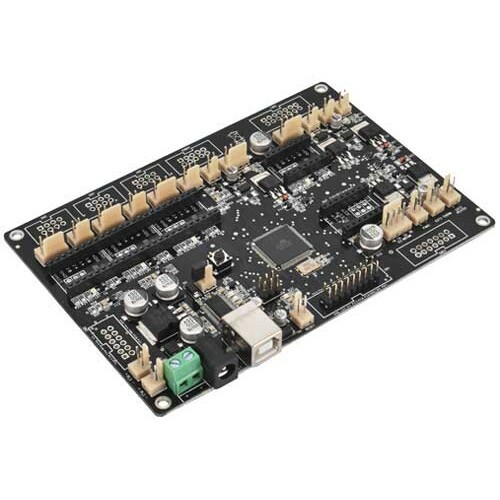 Can be programmed directly from the IDE Arduino allowing even those who are inexperienced to program the card at will, taking advantage of the large amount of firmware and libraries that RepRap community exchanges and updates daily on the web. The ATmega2560 microcontroller, provided with the firmware Marlin Erik van der Zalm suitably configured to control our electronics. And 'that can accommodate the Flash reserved for the program (256 kB) more lines of code, enabling you to implement more functionality than typical control card for 3D printers available on the market. Board comes fully assembled. Warning! 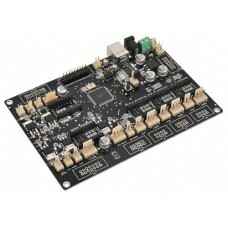 The driver (or 8218-7350-3DDRIVER DRV8825) for Stepper motors are not included, see related products.